It&apos;s been more than 10 years since Godzilla last smashed its way into theaters, and to the casual spectator, this past weekend&apos;s blockbuster seems a fitting revival to the franchise. Coming in at number one at the box office and receiving overall positive reviews, it seems most of America agrees: Godzilla is back. But in Godzilla’s success there is also great failure. Despite the fact that 2013 was a hallmark year for women and characters of color thanks to big hits like Frozen, The Hunger Games, 12 Years a Slave and The Butler, it is disheartening to realize that one of the summer&apos;s first true blockbusters falls prey to the same old trope of oversimplified female and minority characters — a fact further complicated by the reality that Godzilla is at root a Japanese story. 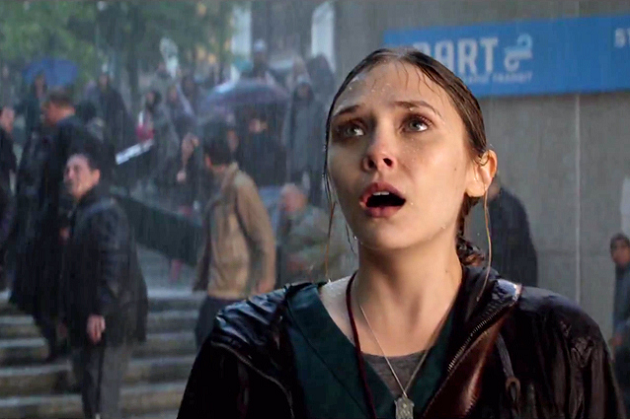 None of Godzilla&apos;s minority or female characters act with agency or move this movie forward. Rather, they are stand-ins, foils and caricatures. The people in control — the plot-drivers — are white men; a pattern we see far too often and one that demands calling out in order to one day change. Our first example is Dr. Ishiro Serizawa, played by Ken Watanabe. Dr. Serizawa is a scientist and ostensibly a leader in MONARCH, a multi-national organization dedicated to the research of giant monsters (kaiju). Yet when Americans enter his research facility and proclaim that they are superseding him, he barely protests. He does little more than whimper and grimace when the Americans come up with a (completely idiotic) plan to nuke the kaiju off the coast of California. To top it all off, throughout the movie, Serizawa speaks only one or two lines at a time, mostly while looking at the camera with a half-dazed or half-crazed expression on his face — a look that gives the impression of a mystic rather than a brilliant scientist. Our next character of color is so far down the cast list pecking order that audiences might not remember his name. That&apos;s understandable, seeing as Captain Russell Hampton&apos;s, primary function is to enforce orders given by his white superior officer. He picks the white men up from the research facility so that they can talk to his white male boss about how best to fix the problems they face. The last person of color with a significant speaking part is an unnamed bus driver, who deserves mention if for no other reason than that he is may be the smartest, most put-together character in the movie. While he&apos;s driving a bus full of children out of San Francisco for their safety, the Golden Gate Bridge comes under attack. This bus driver has the sense to drive around police cars blocking the bridge to save his charges. Our brilliant driver has only one line in the whole film and receives no name (or photo, apparently). Zeroing in on the movie&apos;s female characters there&apos;s Sandra Brody. She is wife to Joe Brody (the nuclear plant manager obsessed with finding the truth at the beginning of the film) and mother of the film&apos;s protagonist, Ford. She is easily the most well-developed of the three female characters but within the first 10 minutes of the movie, she is killed. She then becomes motivation for her husband to pursue the truth, rather than a character who moves the plot herself. Elle Brody, wife to protagonist Ford Brody, only serves the movie as, again, motivation for her husband. She is the person Ford must save to avoid sharing his father&apos;s fate. Though Elle appears to be a doctor or a nurse of some kind, we never see her serving in that capacity. Image Credit: Warner Bros. Picture via IMDB. Every time Elle is on screen, she is worried about Ford or her child. You would suppose that a doctor serving in a hospital during a time of crisis might also be busy tending to her patients, particularly after she sends her son away to be safe. Sadly, however, all Elle does is worry, run and gape at the camera. Speaking of gaping at the camera, no one does that better than Vivienne Graham, the scientist second-in-command to Serizawa. Unfortunately, Graham does not act like a scientist. When the situation turns dire, Graham phrases almost all of her urgent information as questions rather than statements, submitting herself to the authority of the men around her (who, by the way, never answer those questions). Graham likely knows as much about the kaiju situation as Serizawa, and certainly more than the Americans. Yet the film paints her as completely deferential to the men around her, even when she should know better than they do. In case you were wondering, no, Godzilla does not pass the Bechdel test. The women never see each other, let alone say anything to one another. In contrast, the characters in Godzilla who act as their own agents and move the plot forward are white men. 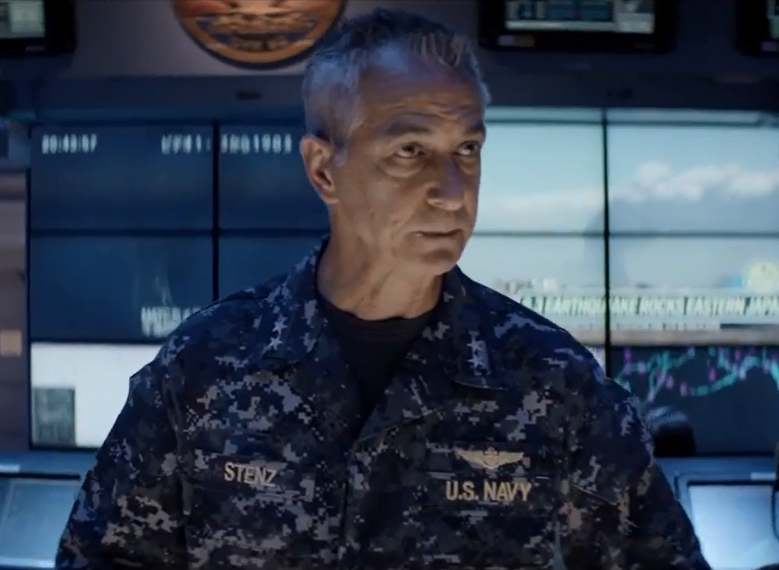 Admiral William Stenz, a white male character, causes many of the confrontations and consequences in the movie. His actions may be controversial but at least they are actions. While he may be so narrowly focused on short-term that he makes poor choices at least the scripts affords him the chance to make choices at all. Joe Brody, a nuclear plant manager and nuclear physicist, is apparently the only person who can figure out that the monster is emitting an elecrtomagnetic pulse at the beginning of the movie. The league of MONARCH scientists, led by a Japanese man and a woman, apparently couldn&apos;t figure it out in 15 years; they had to have Brody tell them. Ford Brody is an agent. He takes action, pushes the plot forward and does everything he can to reunite with his family. Again another male character who is white and fully realized. The message that Godzilla perpetuates is that when disaster strikes, white men, and only white men, can take action. It seems that 10 years wasn&apos;t long enough for the writers to bring their minority characters into the 21st century.